The adventurous life at the sea and the lucrative pay checks have always attracted youngsters towards marine engineering. B.tech marine engineering is something that may not require a stellar academic record, but best college for merchant navy would surely look for certain qualities they hope to see in a successful engineer onboard. In this article, we talk about those qualities which these colleges are actively looking in the applicants and what can help you fulfil your dream of becoming a marine engineer. A best college for merchant navy would Prioritize your interest towards science and machinery the most. They might not give much importance to your numbers but given that marine engineers need to fiddle with complex designs and machinery, they are surely going to test your in depth practical knowledge. You have an edge over others if in school, you have made a lot of working projects or you understand how things actually work rather than mugging up definitions. btech marine engineering also prepares you for quick problem-solving skills along with the technical and practical knowledge of mechanical engineering. The conditions at the sea can take a turn any moment and a single ship sails with only limited number of engineers onboard. This is why every marine engineer is prepared for such situation and the colleges would love, if the applicant already shows some aptitude towards problems that need quick solution. Along with that, you need to be an expert team builder and a leader. 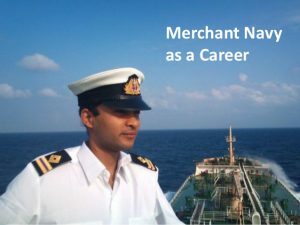 Merchant navy is a profession where you spend most of your time away from your home and family, with different people from different art of the world. There, your ability to work in a team and networking skills are what going to make you a successful marine engineer in the true sense. The field is challenging in its own course, but nonetheless remains lucrative to people who have always loved adventure and travelling. With these qualities, you should be able to take the first step of your journey in becoming the engineer you always wanted to become.